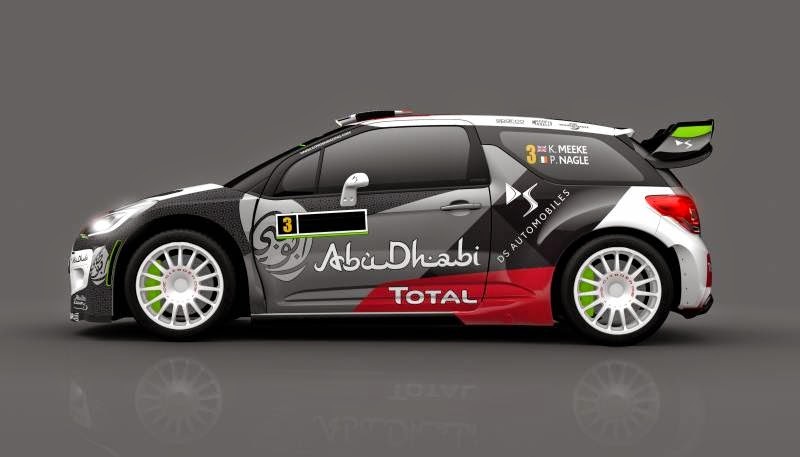 The Citroën Total Abu Dhabi World Rally Team will be sporting a new look when the cars turn up for Rallye du Portugal over the weekend of 21-24 May – the weekend after the McRae Rally Challenge at Knockhill! At the start of the season ahead of Rally Monte Carlo, the DS 3 WRC had a new turbocharged 1.6-litre direct injection engine derived from the Citroën C-Elysée WTCC, semi-automatic gearbox controls, a rear spoiler with vertical winglets and a redesigned rear suspension. 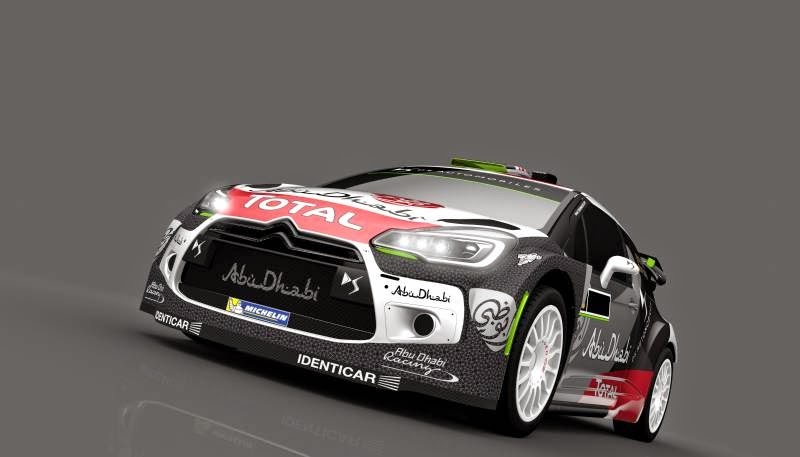 They have now made a few more tweaks to their WRC title contenders concentrating primarily on aerodynamics. The cars have a new front end, featuring a redesigned bumper and wings to improve the aerodynamic performance of the car by lowering drag and increasing downforce. They’ve also come up with a new colour scheme. Black is the new gold, as they say, but with some dayglo green highlights. Wonder if Kris will get a new suit too. Man in black anyone?